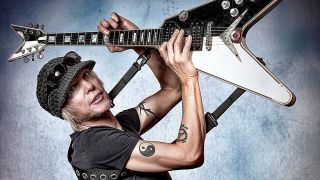 He’s the man with a liking for black and white Vs - but how will Michael Schenker handle the 10 questions we ask everyone? 2. Suppose the building’s burning down. What one guitar from your collection would you save? 6. If you could change one thing about a recording you’ve been on, what would it be and why? 7. What are you doing five minutes before you go on stage and five minutes after? 8. What’s the worst thing that has happened to you on stage? 9. What song would you play on an acoustic around a campfire? 10. 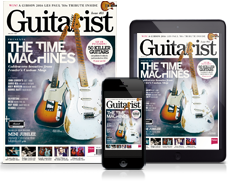 What aspect of guitar would you like to be better at?